I know, I'm a bit late this week, but I just wasn't in the mood for blogging. Or may be I just wasn't in the mood in generall that's why it was hard for me to pick the positive moments of the last week. But, as I've started this 52 week long project I decided that I still must concentrate and remember that good things. It helped, actually. 2. 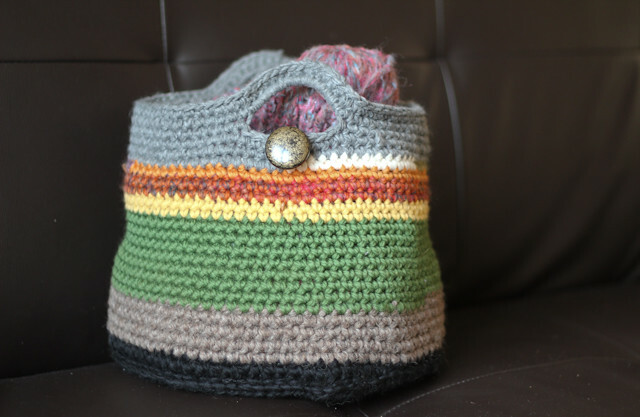 Second was a project bag/basket I made for myself. I was using some scraps of chunky yarn I had in my stash and finished it in two evenings. Before I kept my project-on-the-go in a usual TESCO plastic bag, so now it's much better in a basket. 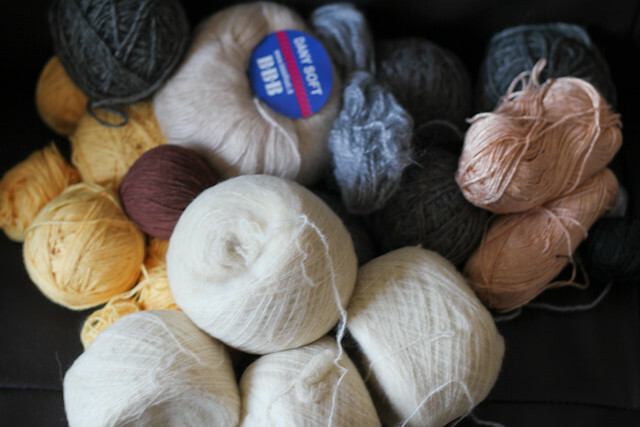 I will share the pattern of my basket here in a couple of days. 3. 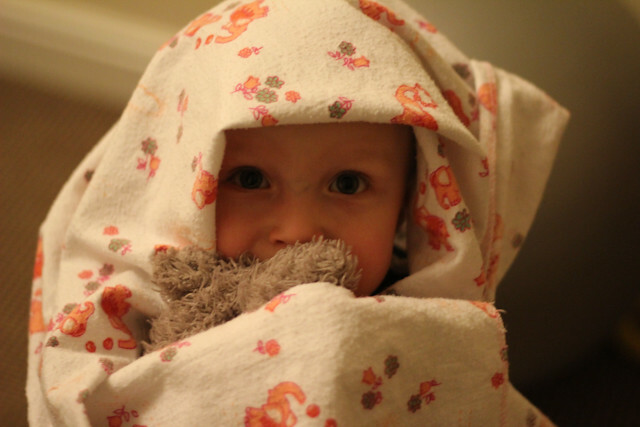 The third was Little Man's new game - he takes a flannel sheet and wraps into it with looks really cute and funny. 4. 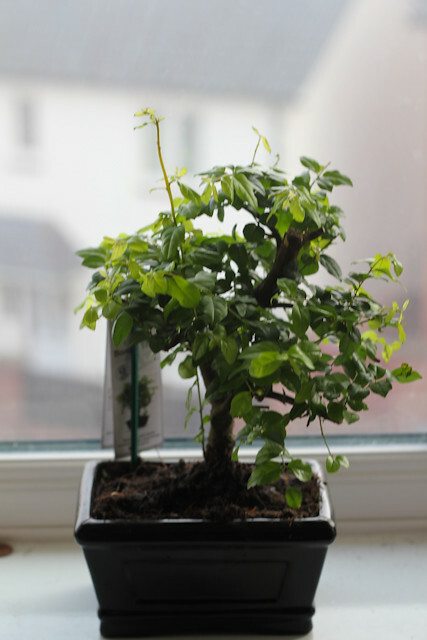 And the last thing was the little bonsai tree I got for Valentine's day. I recieved plants as gifts before and they didn't last long. But this time I really feel responsible for this little one. Hope I cant treat him nice and he will live with us for years.